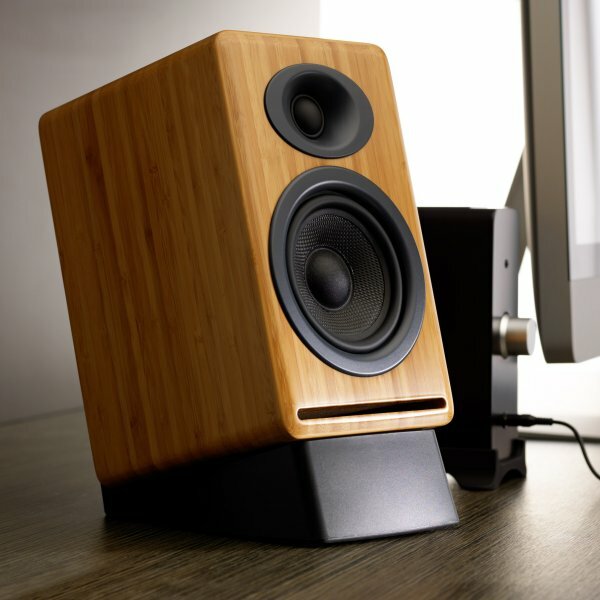 Elevate Your Audio - The Audioengine DS2 Desktop Stands were designed to make the best of a desktop setting by first and foremost aiming the speakers higher. This brings the tweeters closer to ear level, and reinforces the frequencies that make up your music's sound stage. The DS2 Desktop Stands work best with larger speakers like our P4 and A5+. The Audioengine team is dedicated to bringing you the highest quality listening experience possible and the DS2 Desktop Stands were designed with the same attention to detail as other Audioengine products.